Vienna Tailored Shower Curtain - 72"x72"
Peacock Alley's signature Vienna matelassè proves as elegant and classic in the bath. 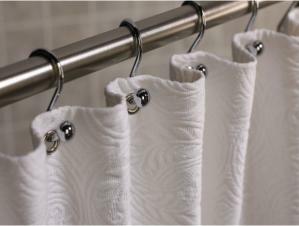 Designed from an antique, French 17th century button, the Vienna design remains a staple for bed or bath. Please note that the pattern on this product runs horizontally.